A new law in Maine will take away regulations that require Fairpoint Communications to guarantee basic landline phone services in several Maine communities. These changes will especially affect people who rely on landline phone service in larger populated communities, such as Portland and Biddeford. The law removes the Provider of Last Resort mandate, which requires Fairpoint to guarantee basic landline services. "The whole world of communication is changing," said the bill's sponsor, Rep. Larry Dunphy (U-Embden). 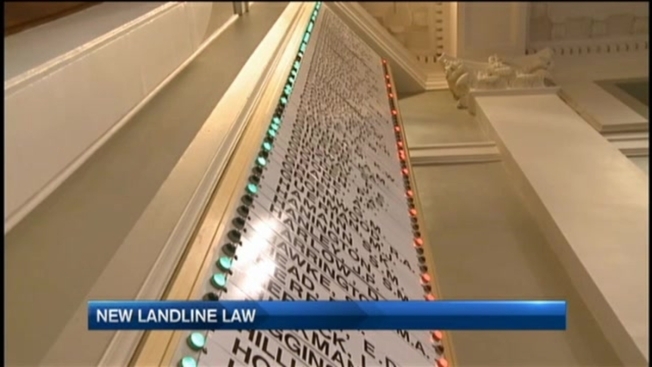 "These mandates for landlines -- it's old technology." The new law does not apply to rural areas where Fairpoint is the only option for phone service -- and where cell phone coverage is spotty. But lawmakers and Fairpoint officials say in areas like Portland, where there is competition for phone service, regulation is not needed. "In competitive areas, let the market do what it does," said Mike Reed, Fairpoint's Maine State President. He said Fairpoint's competitors would still be able to offer basic landline service in those higher populated areas. The law does have some people concerned, including some senior citizens. "It's a sign of the times," said Gwen Shibles, who lives in Kennebunk. She said she does not like using a cell phone, and relies on her landline. Shibles will not be affected under the new law, but worries more phone companies will move in the same direction.